“The approach with the combine athletes this year was to guarantee them an experience in a great facility where they could accomplish their goals. There was no doubt in my mind that this could only happen in partnership with Gary Cablayan of Evo Sports Training. The combination of both of our training expertise and the individualized attention John and 3 other NFL-bound players received is what brought such quality performances at the 2017 NFL Combine. We wanted to set a new standard of training and I believe we accomplished it,” states Rob Paulele, Director of Training at Athletic Republic of Orange County. Athletic Republic protocols also train power. Using our proprietary equipment, we consistently measure power to assess progress and optimize an athlete’s training for best results. We are not guessing how much an athlete can lift or how high they can jump, we know those answers because we measure the output during the movements that are critical to performance. The increased power output seen from John’s training translated into more impressive numbers in two of the other combine workouts. 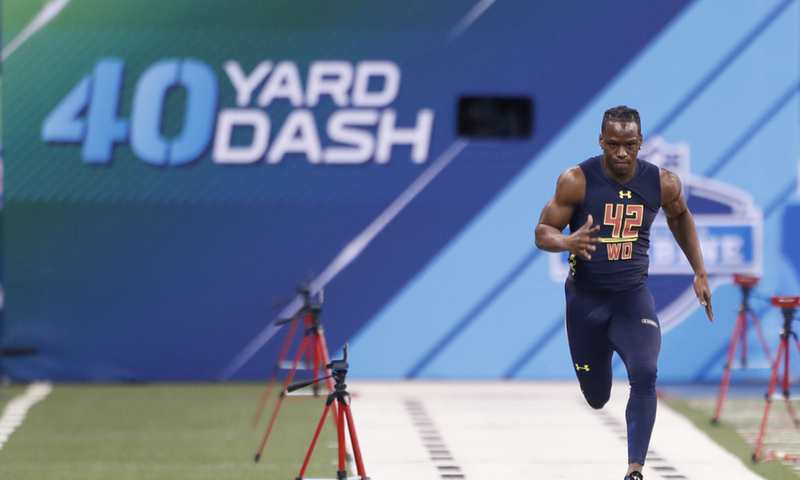 In the broad jump competition, John recorded a distance of 11’1” which put him tied for third among all wide receivers and tied for sixth overall. The vertical jump put him tied for fifth among the wide receivers with a height of 37.